The HubSpot SEO tab is our ‘tool of the moment’. In fact, as I explore below in a series of videos, I’ve used it every day for the past month. It could be that you haven’t created your first pillar page yet, or maybe you have and just aren’t sure how to check if the content you’re creating is mapped effectively to it. Whatever stage you’re at, this post offers you tips on how to clear up your content with HubSpot, helping it rank more highly and getting your business seen by more prospects. Why do we need pillar pages? Once upon a time, searchers would type one or two keywords into Google and get all the answers they needed. But as the volume of search pages increased, and it became more difficult to find exactly what you wanted, it became common practice to type entire sentences into search engines. '64% of searches are four words or more, and we're seeing a growing number of these longer-form conversational search queries that help people find the exact information they're looking for. 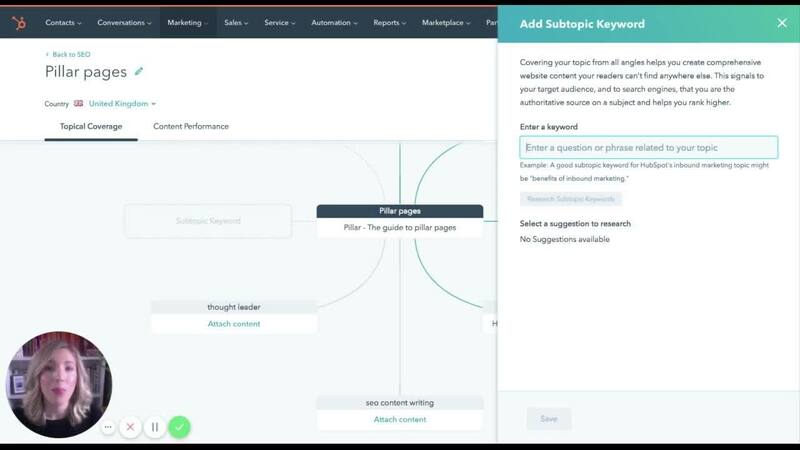 Using HubSpot, you can search for opportunities to link your pillar page to existing content, as well as identify gaps to help inspire future blog posts. Start with our pillar page about pillar pages, if you don’t have one yet, or aren’t sure if you’re ready for one. Once you’re ready to start linking content to your pillar page, it’s time to start using this nifty tool. 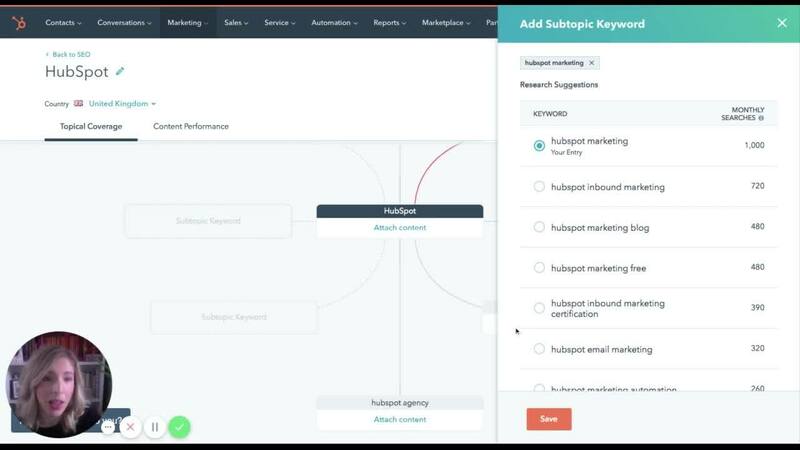 This video explains more about why you need to link your topic cluster content to pillar pages and walks you through how to get started with the SEO tool in your HubSpot Marketing portal. Looking at the colour of the line in the diagram, linking your pillar page to the blog content, tells you a lot about how complete this relationship is. The line can be grey, red or green, each representing a different stage of completion. 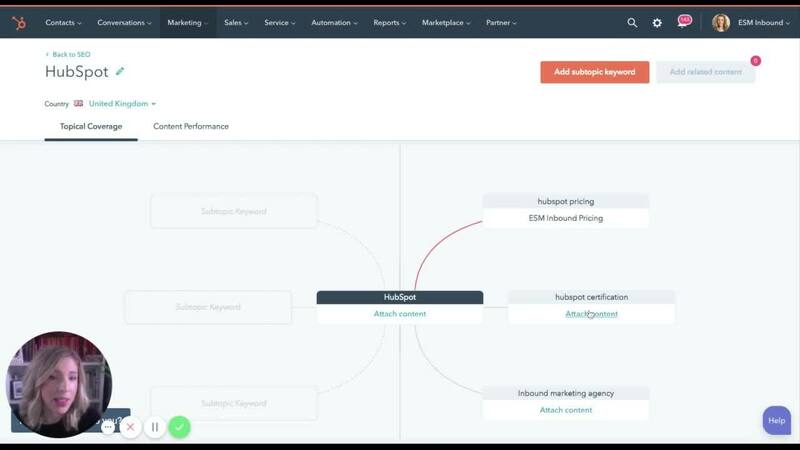 Getting familiar with the different dashboard functions is an important part of optimising your content strategy with the SEO HubSpot tool. 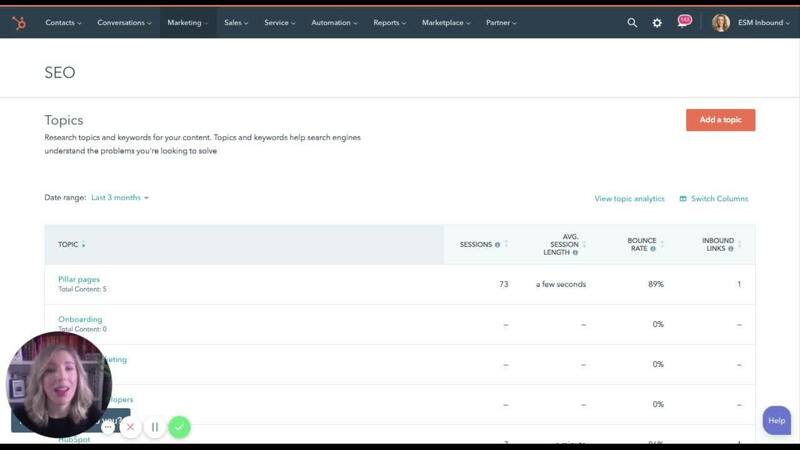 Taking a closer look at this page, in this video I’ll walk you through how to get the most out of each pillar page, using this comprehensive overview, helping you track and analyse your content performance. The great thing about this tool is the satisfaction and peace of mind it offers your business. If you can get into a habit of updating it regularly (which only takes 10 minutes), you’ll keep on top of the gaps and missing links in your content and be able to rectify them easily. 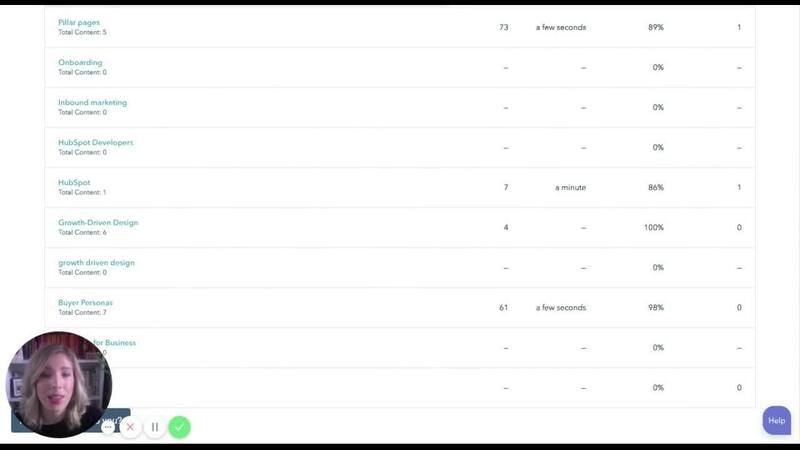 With direct access to your content through the tool, there’s no searching endlessly through your content, or switching back and forth between screens – you can update the links in a few clicks, creating those satisfying green lines! Make time for this small task, and you will reap the benefits. 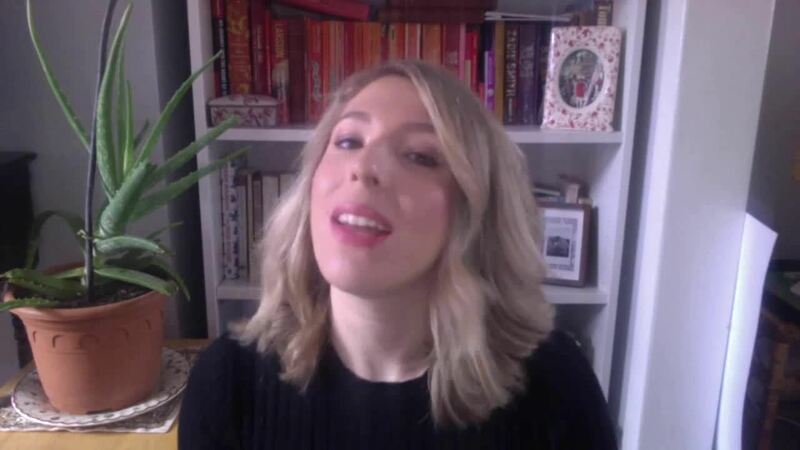 Organised content is findable content and if there’s one thing we all need in the ever-expanding content universe, it’s the chance for our content to jump to the top of SERPs, leapfrogging over those who haven’t done the same.